The Free Kindle Books Say HOWDY! Yesterday was certainly an adventure for my sweet old pup Jethro. My partner in crime and my sister in law’s pups had a wonderful play-date at a very popular dog beach called Dillon Beach. It was cool out, but the sun was shining a there was very little wind, so it made for a very beautiful day. The waves were high, so the surfers were out enjoying the break in the weather. Seeing them out there gave me a horrible feeling of dread though. I have a huge fear of sharks, and I kept getting this horrible feeling that the sharks were right there waiting. In this area that most likely was actaully true. 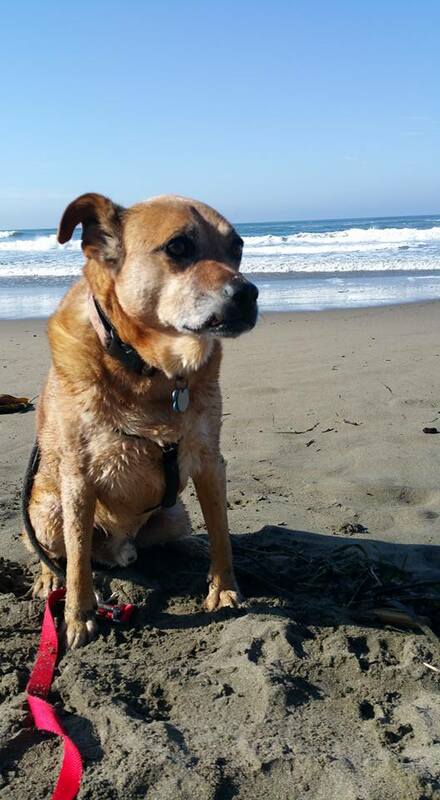 Jethro is an old pup and not one to play with little punk pups, so he was just enjoying a nice slow stroll down the beach sniffing seaweed and the occasional rock that had a story to tell. Once in a while we would cross paths with another old dog and I swear they would exchange knowing glances. Ziri Mokuru has lived her entire life in the rural village of Arden Hollow on the planet Tersi. While her parents are off having adventures and being Very Important People, she’s struggled simply to find a place where she belongs. One night, she investigates a disturbance in her home and discovers an armor-clad man sorting through her belongings. Her first thought is for her parents’ safety, not to question why this man is in her home late at night without even the courtesy of knocking. After all, no one among the trusting Tersii breaks into someone else’s home without a good reason. Ryn abid Alna has an excellent reason for sneaking into Ziri’s home. After years spent scraping together enough vud for the bride price, he’s finally ready to steal a wife. One look at Ziri’s sweet smile and Ryn decides no other woman will do. She can fix anything she touches, so why not the loneliness he’s lived with since he was enslaved as a young boy? Though Ziri longs for love, she’s not so sure she’s ready to settle down with the man who kidnapped her, especially after he jumps her into a nest of Sweepers, a sinister alien race bent on mayhem and destruction. As the day draws near when she faces Ryn’s family on the Choosing field, Ziri ponders the hardest decision of her life: Fight for Ryn and the place he’s made for her in his heart or choose another man as a life mate and risk never knowing love. From a USA Today Best Selling Author. The story is not your typical murder mystery. The sleuth is not a detective, private eye, or lawyer. He’s an ordinary guy with an extraordinary dog. Jacob Martin is trying to make the best of a divorce and mid-life crisis when he gets a call at two o’clock Sunday morning from his mother. His sister has been arrested for the murder of her fourth husband, and his father is near death. Thus begins an adventure that takes Jake and his golden retriever from their Colorado retreat to a backwater town in the Missouri Ozarks where they search for cold-blooded killers, a cache of gold coins buried by Jesse James, and the love of a beautiful nurse. Reporter Juni Bruder searches for answers after 115 people die in a fire that destroys Orlando’s most iconic landmark. Told through an inspired mix of puzzle pieces — interviews, e-mails, obituaries — and filled with gallows humor, THE ARSONIST’S LAST WORDS is a sly take on life, loss and the slippery nature of truth. Catalina Flores de la Peña’s tongue got her in more trouble than any other part of her body, even though there were far more likely candidates. But when a storm rolls into her sleepy port town, she finds herself embroiled with a gang of adventurers, mercenaries, and prostitutes on a journey to free South America from the Spanish Empire. A Storm Hits Valparaíso is an epic historical adventure starring two brothers torn apart by love; a slave running for his life; a disgraced British sailor seeking redemption; and José de San Martín, an Argentine general who deserts the Spanish Army to lead a bloody revolt against his former masters. The vigilante, The Black Hood, is doing a good job fighting Marx and his hired killers in Dogtown, Colorado, but Will Cannon thinks the Black Hood might need some help. Will rides to Dogtown to buy saddle horses from some young bronc busters there and he finds himself right in the middle of the fight. Will enlists the help of the three brave young bronc busters and they set out to end the criminal careers of all of the men in the Marx Gang. All of the Will Cannon novels are classic Western Adventures.